Customer Relationship Management software is the technology that enables the management of that asset across all customer touchpoints and all customer-facing departments from marketing to sales to service, creating a unified customer profile that is accessible across the enterprise. 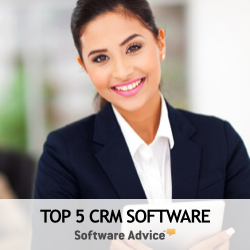 CRM software then uses analytical tools to correlate and synthesize customer data to drive product development, improve marketing campaigns and increase sales efforts. The success of CRM requires that all customer touchpoints (call center, email, website self-service, chat/IM and even social media) be integrated into a single profile of the customer. The elimination of information silos within a company is paramount to achieving ROI on a CRM investment.